[S120] Martin Jackson has included these details by using information from other resources:- Ireland Census 1901. [S24] Information supplied by Lilian Jackson. Thomas Dawson Hopkins was married to Hilda Smith on Tuesday, 7 April 1908 at Chorley, Lancashire. He was buried in Falkland Cemetery, Falkland on Monday, 5 April 1937. [S107] General Register Office - Index of Births, Q2 1885 Preston Vol: 8e, Page: 609. Mother's Maiden Surname = DAWSON. [S1891] The 1891 U.K. Census was taken on the night of 4/5 April 1891. PRO Ref: RG12 Piece: 3423; Folio: 103; Page 35. [S1901] The 1901 U.K. Census was taken on the night of 30/31 March 1901. PRO Ref: RG13 Piece: 3936; Folio: 5; Page: 1 ; Schedule: 2. [S109] General Register Office - Index of Deaths, GROS District of Falkland in the County of Fife; Page: 3 Entry #8. Hilda Smith was married to Thomas Dawson Hopkins on Tuesday, 7 April 1908 at Chorley, Lancashire. Hilda Smith, daughter of Alexander George Smith and Mary Ellis, died on Saturday, 7 February 1976, in The Royal Hospital, Edinburgh, Midlothian, Scotland,"due to a Pulmonary Embolism, in Hospital after a fall at home, she had suffered a Broken Hip." Hilda Hopkins nee Smith was Cremated in The Crematorium, Edinburgh, Midlothian, Scotland. Anecdote about 1905 Note on back of Photograph says: Miss Smith, 54 Devonshire Road, Chorley. Anecdote 1920 'Had lots of cousins - Smiths - Pork butchers, one built a skating rink which failed.' Names - Maude, Tom are remembered by Markie Henderson. [S107] General Register Office - Index of Births, Q4 1885 Chorley Vol: 8e, Page: 532. Mother's Maiden Surname = ELLIS. [S1891] The 1891 U.K. Census was taken on the night of 4/5 April 1891. PRO Ref: RG12 Piece: 3425; Folio: 20; Pages 33 & 34. [S1901] The 1901 U.K. Census was taken on the night of 30/31 March 1901. PRO Ref: RG13 Piece: 3938; Folio: 117; Page 30; Schedule 179. Alexander William Hopkins, son of Thomas Dawson Hopkins and Hilda Smith, was married to Mary Marshall Thomson, daughter of Robert Thomson and Jane Marshall, on Tuesday, 3 October 1933 at Culross Abbey, Culross, Fife. Culross Abbey Marriage Register Entry - "Entry #21 - 3rd October 1933, at The Abbey, Culross, After Banns, according to the forms of the Church of Scotland. Alexander William Hopkins, Medical Practioner, (Bachelor), Age 24, of 30 Whitefield, Stockport. Son of Thomas Dawson Hopkins, General Manager & Hilda Hopkins, m.s. Smith; and Mary Marshall Thomson, Governess, (Spinster), 26, of The Hawthorns, Coldstream. Daughter of Robert Thomson, Farmer,(Retired) and Janet Thomson m.s. Marshall (Deceased). Witnessed by F. Grainger of 144 Charleshall Road, Edinburgh and Jane M. Thomson, Muir Street, Newmills, Fife. Alexander William Hopkins, son of Thomas Dawson Hopkins and Hilda Smith, died on Thursday, 13 April 1995, in Greenwood Cottage, Heathcote Road, Camberley, Surrey. Obituary was printed in Camberley, Surrey, on 16 April 1995; HOPKINS - On April 13th. 1995, peacefully after a short illness in hospital, at Camberley, Surrey. Doctor ALEXANDER WILLIAM, aged 86 years, for many years a General Practitioner in West Lothian. Much loved brother of Markie , father of Ian, Alistair and Margot and sadly missed by his grandchildren and great grandchildren. Funeral at East Hampstead Park Crematorium, Berkshire on Friday 21st. April at 11a.m. Family Flowers only. Alexander William Hopkins was Cremated in East Hampstead Park Crematorium, Berkshire, on Friday, 21 April 1995. Dr. Alexander William Hopkins, affectionately known as Sandy or Wee Sandy to his family, friends, patients & colleagues, was born on 18 October 1908 and Died on 13 April 1995. Sandy was born in Chorley, Lancashire but moved to Scotland at an early age when his Father took up the post of Manager of the Scottish Co-operative Wholesale Society's Linoleum Factory at Kirkcaldy, Fife. His early days were spent in the Royal Burgh of Falkland where his father served as Lord Provost for Falkland for 21 years - a tremendous achievement for an Englishman. Sandy's initial interest in anatomy and the avowed starting point for his subsequent medical career were illicit visits to the local butcher's shop in Falkland. Here not only was meat sold but animals were slaughtered and the carcases dissected, giving the young boy his almost macabre view of entrails, offal etc. He was educated at George Watson's Boys College, Edinburgh and subsequently proud to be a Watsonian. He went on to study Medicine at Edinburgh University and graduated in 1931 as a Bachelor of Medicine and a Bachelor of Surgery. His residency was spent in Bury Royal Infirmary prior to his decision to go into General Practice he did with financial help from his father. A practice was purchased in a small mining village called Blackridge in the County of West Lothian, Scotland. In those days the majority of his patients were miners or quarrymen & their families who paid 6d per week to be on the doctors panel. Word soon got about that the new doctor appeared to be quite good at his job and consequently his practice grew and grew to encompass a wide area of West Lothian. A typical day for Sandy would be as follows - leave the house at 8:50 a.m. to visit "Call Houses" where he would pick up the home visits he would have to make, return home about 12 noon for some lunch, take a surgery from 1 p.m. to 2 p.m. in the surgery just off the lounge, drive to another village, Harthill, where he would take another surgery from 3 p.m. to 4 p.m., drive back home where he would take another surgery from 5 p.m. to 6 p.m. or later. Thereafter he was on call and if he wasn't called out at least once a night he considered himself very fortunate. As the practice grew he was able to take on a partner which eased his workload. To Sandy, Medicine and its practice was a vocation and he dedicated his working life to the care of others. He was well respected and indeed loved by many of his patients one of whom, perhaps foolishly in hindsight, saddled her firstborn twin with "Hopkins" as his Christian name (Hopkins Muir). Hers were the first set of twins that Sandy had delivered since coming to the village. Yet the naming of the child after the doctor represents a bond which is perhaps missing in the Doctor / Patient relationship of today. One thing that Sandy had to learn very quickly - how to drink whisky! Every successful confinement was accompanied by the offer of a "wee dram". To refuse would be to abuse your patients hospitality, so it had to be done, even though in those days he did not appreciate the Scottish Wine! He had lots of stories to tell about his experiences many of which would have made a superb episode for Dr. Finlay's Case Book. Regretfully and despite much cajoling he never recorded them in written or verbal form. However they are familiar memories to be passed on from generation to generation. Unfortunately, Sandy's married life was not as successful as his professional life and eventually he and his wife, Mary, separated in the 1960's. he was a kind and loving father to his children Ian, Alistair and Margot and a loving grandparent to Elaine, Susan, Derry, Karen, Jennifer, Jane and Fiona and a loving great-grandparent to Michael, Ross, Elaine, Scott, Emma and Michael. He will be sadly missed by them all. Outside of work which he continued into his 70's, Sandy had few interests, although at various times he enjoyed playing bowls, dabbling on the Stock Market and was always an avid reader of historical biographies or autobiographies. He liked watching sport on TV and particularly horseracing although he never placed a bet in his life. The contribution made by Sandy to the lives of so many people is indefinable but they will have known that they were touched by the skills or the kind word of a dedicated professional, colleague, friend or relative. Our world is a poorer place for his passing. [S107] General Register Office - Index of Births, Q4 1908 Chorley Vol: 8e, Page: 455. Mother's Maiden Surname = SMITH. [S21] Interview, Information supplied by Markie Henderson, 26 Feb 1989. (Image downloaded from Scotland's People by Martin Jackson on 24 March 2011). James Newall Berry, son of James Berry and Mary Fielding, was married to Lilly Smith, daughter of Alexander George Smith and Mary Ellis, in Chorley, Lancashire, in 1904. James Newall Berry, son of James Berry and Mary Fielding, died about 1955, in Southport, Lancashire. He was buried, Southport about 1955. Anecdote Markie Henderson says that he was very keen and knowledgable about Antique clocks, and that he used to go to junk & antique shops. He played the Church Organ whenever he was given the chance. [S107] General Register Office - Index of Births, Q4 1877 Rochdale Vol: 8e, Page: 25. Mother's Maiden Surname = FIELDING. [S120] Martin Jackson has included these details by using information from other resources:- DoB derived from UK 1939 Register entry. [S108] General Register Office - Index of Marriages, Q4 1904 Chorley Vol: 8e, Page: 899. [S1911] The 1911 U.K. Census was taken on the night of 2 April 1911. PRO Ref: RG14 PN24468 RG78 PN1403 RD469 SD1 ED30 SN89. [S1939] U.K. 1939 Register Transcription for England & Wales, Ref: RG101/4730C/022/34 Letter Code: NUBT. Schedule: 313 Sub-Number: 1. [S1939] U.K. 1939 Register Transcription for England & Wales, Ref: RG101/4730C/022/34 Letter Code: NUBT. Schedule: 313 Sub-Number: 2. Frederick Grainger, son of Adam Grainger and Elisabeth, was married to Mary Maud Smith, daughter of Alexander George Smith and Mary Ellis, on Saturday, 13 July 1918 at The Parish Church, Falkland, Fife, Scotland. Frederick Grainger was left a Widower on the death of his wife, Maud about 1954 in Barnton, Edinburgh, Midlothian, Scotland. Frederick Grainger, son of Adam Grainger and Elisabeth, died on Friday, 30 January 1981, in Edinburgh, Midlothian, Scotland,"age 92." He was buried, Edinburgh in February 1981. [S201] Certified Copy of a Marriage Certificate given at the General Register Office. Downloaded from Scotlandspeople.gov.uk. Thomas Jackson, son of William Jackson and Harriet Bailey, was born in 11 Duke Street, Burton Upon Trent, Staffordshire, on Tuesday, 17 December 1872. Thomas was usually known as Tom. Tom Jackson, son of William Jackson and Harriet Bailey, was married to Maria Bishop, daughter of Thomas Bishop and Emma Coulton, on Saturday, 4 September 1897 at Christchurch Parish Church, Burton Upon Trent, Staffordshire. Tom Jackson, son of William Jackson and Harriet Bailey, was married to Alice Maud Bull, daughter of John Bull and Hannah Tipper, on Tuesday, 23 August 1904 at St. Chad's Church, Longford, Derbyshire. Tom Jackson retired in 1931, as related by Wynne Moore in conversation with Martin Jackson. Tom Jackson and Alice Jackson nee Bull celebrated their Golden Wedding in Hollington School, Hollington, Derbyshire, on 23 August 1954 with a grand family party. Thomas and Alice arranged the Reunion of Grandma's Brother and Sister and their Spouses in Ebenezer Cottage, Hollington, Derbyshire, which included John Thomas Bull, Lucy Isabel Robinson, Rebekah Osman nee Bull and James Albert Osman. Tom Jackson and Alice Jackson nee Bull celebrated their Diamond Wedding in Waverley, Ashby Road, Woodville, Derbyshire, on 23 August 1964. Obituary - JACKSON - Thomas, beloved husband of Alice, aged 94, passed away peacefully at Market Bosworth Infirmary on Sunday, February 26th. Cremation at Gilroes, Leicester on Thursday, March 2nd. 3:40 p.m. Family Flowers only - 14 Ashby Road, Woodville. Tom Jackson was Cremated in The Crematorium, Leicester, Leicestershire, on Thursday, 2 March 1967 at 3:40 pm. "Miss Bishop - Given to her by a friend, October 18 1890"
"Miss M Bishop, 30 Welmoor Road, Burton on Trent, from T.J." (? Tom Jackson ?) Jean passed this Bible on to Martin Jackson in July 2004. Anecdote copy of Auction Sale of Ebenezer Cottage in March 1982, held by mfj. Photograph - as Member of Christ Church Band, 1898, held by mfj. Copy of Newspaper obituary notice held by mfj. [S100] Certified Copy of a Birth Certificate given at the General Register Office. Copy of certificate held by Martin Jackson. [S107] General Register Office - Index of Births, Q1 1873 Burton on Trent Vol: 6b, Page: 416. Mother's Maiden Surname = BAILEY. [S1881] The 1881 U.K. Census was taken on the night of 3/4 April 1881. PRO Ref: RG11 Piece: 2762; Folio: 76; Page: 26; Schedule: 158. [S1881] The 1881 U.K. Census was taken on the night of 3/4 April 1881. PRO Ref: RG11 Piece: 2762; Folio: 76; Page 26; Schedule 158. [S1891] The 1891 U.K. Census was taken on the night of 4/5 April 1891. PRO Ref: RG12 Piece: 2202; Folio: 58; Page: 4 ; Schedule 24. [S201] Certified Copy of a Marriage Certificate given at the General Register Office. Registered at Burton on Trent on 6 Sept. 1897. [S108] General Register Office - Index of Marriages, Q3 1897 Burton on Trent 6b 555. [S1901] The 1901 U.K. Census was taken on the night of 30/31 March 1901. PRO Ref: RG13 Piece: 2642; Folio: 17; Page: 26; Schedule: 139;. [S109] General Register Office - Index of Deaths, Q4 1902 Burton on Trent 6a 277 aged 30 years. [S201] Certified Copy of a Marriage Certificate given at the General Register Office. In possession of Martin Jackson. [S1911] The 1911 U.K. Census was taken on the night of 2 April 1911. PRO Ref: RG14 PN16808 RG78 PN1042 RD365 SD4 ED21 SN359. [S124] "Letter detailing costs in sale of Ebenezer Cottage." [S1939] U.K. 1939 Register Transcription for England & Wales, Ref: RG101/5931A/009/12 Letter Code: RCAK. Schedule: 65 Sub-Number: 1. [S1939] U.K. 1939 Register Transcription for England & Wales, Ref: RG101/5931A/009/12 Letter Code: RCAK. Schedule: 65 Sub-Number: 2. Alice Maud Bull, daughter of John Bull and Hannah Tipper, was married to Tom Jackson, son of William Jackson and Harriet Bailey, on Tuesday, 23 August 1904 at St. Chad's Church, Longford, Derbyshire. Alice Jackson nee Bull celebrated Mothering Sunday with nearly all of her children and grandchildren in 1949 at Ebenezer Cottage, Hollington, Derbyshire. Alice Jackson nee Bull and Tom Jackson celebrated their Golden Wedding in Hollington School, Hollington, Derbyshire, on 23 August 1954 with a grand family party. Alice Jackson nee Bull and Tom Jackson celebrated their Diamond Wedding in Waverley, Ashby Road, Woodville, Derbyshire, on 23 August 1964. Alice Jackson nee Bull was Cremated in The Crematorium, Markeaton, Derby, Derbyshire, on Sunday, 10 November 1968. Cremated at 4:15 pm. after a Funeral Service at Woodville Methodist Church. With my true love & best wishes for many happy birthdays. Martin Jackson has this Bible in his possession. [S107] General Register Office - Index of Births, Q2 1880 Ashbourne 7b 656. [S1881] The 1881 U.K. Census was taken on the night of 3/4 April 1881. PRO Ref: RG11 Piece: 3397; Folio: 53; Page: 50; Schedule: 262;. [S1891] The 1891 U.K. Census was taken on the night of 4/5 April 1891. PRO Ref: RG12 Piece: 2751; Folio: 38; Page 15; Schedule 97. [S1901] The 1901 U.K. Census was taken on the night of 30/31 March 1901. PRO Ref: RG13 Piece: 2642; Folio: 12; Page 16; Schedule 88. [S109] General Register Office - Index of Deaths, December 1968 Coalville 3a 480 age 88. Maria Bishop, daughter of Thomas Bishop and Emma Coulton, was married to Tom Jackson, son of William Jackson and Harriet Bailey, on Saturday, 4 September 1897 at Christchurch Parish Church, Burton Upon Trent, Staffordshire. She was buried, Burton Upon Trent. [S107] General Register Office - Index of Births, Q4 1874 Burton Upon Trent 6b 383. [S1881] The 1881 U.K. Census was taken on the night of 3/4 April 1881. PRO Ref: RG11 Piece: 2762; Folio: 47; Page: 8 ; Schedule 27. [S1891] The 1891 U.K. Census was taken on the night of 4/5 April 1891. PRO Ref: RG12 Piece: 2202; Folio: 5; Page: 4 ; Schedule 18. Alice Mabel Jackson, daughter of Thomas Jackson and Maria Bishop, was married to John Paxton, son of Walter Young Paxton and Mary Jane Bruce, in Burton Upon Trent, Staffordshire, on Saturday, 19 April 1930. Alice Mabel Paxton nee Jackson, daughter of Thomas Jackson and Maria Bishop, died on Sunday, 20 August 1978 in The Plain, Brailsford, Derbyshire, her Death was Registered at the Derby Register Office in the Jul-Aug-Sep Quarter of 1978, She was survived by her husband, John.8 Alice Mabel Paxton nee Jackson was buried in The New Cemetery, Longford, Derbyshire, on Wednesday, 23 August 1978. [S107] General Register Office - Index of Births, Q4 1899 Burton 6b 411. [S120] Martin Jackson has included these details by using information from other resources:- Date of Birth derived from Death Registration. [S108] General Register Office - Index of Marriages, Q2 1930 Burton 6b 899. [S1939] U.K. 1939 Register Transcription for England & Wales, Ref: RG101/5931A/009/12 Letter Code: RCAK. Schedule: 66 Sub-Number: 1. [S1939] U.K. 1939 Register Transcription for England & Wales, Ref: RG101/5931A/009/12 Letter Code: RCAK. Schedule: 66 Sub-Number: 2. [S109] General Register Office - Index of Deaths, Q3 1978 Derby 6 - 0819 (Stated Date of Birth - 28 September 1899). William Thomas Jackson, son of Thomas Jackson and Maria Bishop, was married to Dora Gwendoline Nicholls, daughter of George Walter Nicholls and Ellen Dora Emmett, in St. James Church, Shirley, Hampshire, in 1930. William Thomas Jackson was Cremated in The Crematorium, Southampton, Hampshire, on Monday, 17 April 1989. Anecdote 1980 a newspaper cutting, tells about his GOLDEN DAY... ' William Jackson has had quite a few jobs in his 50 years of married life. When he met his wife Dora he was a driver for the Hants and Dorset bus company. But he has also been a milkman, sailor, landlord and railwayman. On Saturday the couple, who live at Custards Road, Lyndhurst, celebrate their golden wedding anniversary. They were married at St.James Church, Shirley in 1930. William (78), came to Southampton from Burton on Trent in 1927. 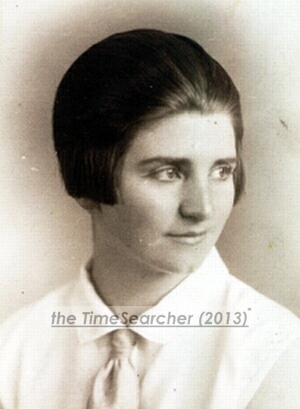 His wife Dora (71), was born in Ashurst and her parents kept Nicholl's Hotel. From 1936 they ran the Mailman's Arms, Lyndhurst for ten years, and in the 1950's they worked as steward and stewardess of the Lyndhurst Working Men's Club.' - cutting in possession of mfj. [S100] Certified Copy of a Birth Certificate given at the General Register Office. Registered at Burton on Trent on 17 November 1902. [S107] General Register Office - Index of Births, Q4 1902 Burton on Trent 6b 431. [S108] General Register Office - Index of Marriages, Q4 1930 Southampton 2c 58. [S1939] U.K. 1939 Register Transcription for England & Wales, Ref: RG101/2384B/006/6 Letter Code: EEMI. Schedule: 39 Sub-Number: 1. [S1939] U.K. 1939 Register Transcription for England & Wales, Ref: RG101/2384B/006/6 Letter Code: EEMI. Schedule: 39 Sub-Number: 2. [S109] General Register Office - Index of Deaths, Q1 1982 New Forest Vol: 20, Page: 0394. DoB = 21 July 1909. [S120] Martin Jackson has included these details by using information from other resources:- DoD derived from Probate Records. [S109] General Register Office - Index of Deaths, March 1999 New Forest Vol: 20; Page 421; DoB: 15 Nov 1902. She was Baptised on Sunday, 3 September 1905 in The Primitive Methodist Chapel, Burton Upon Trent, Staffordshire . Winifred was usually known as Wynne. 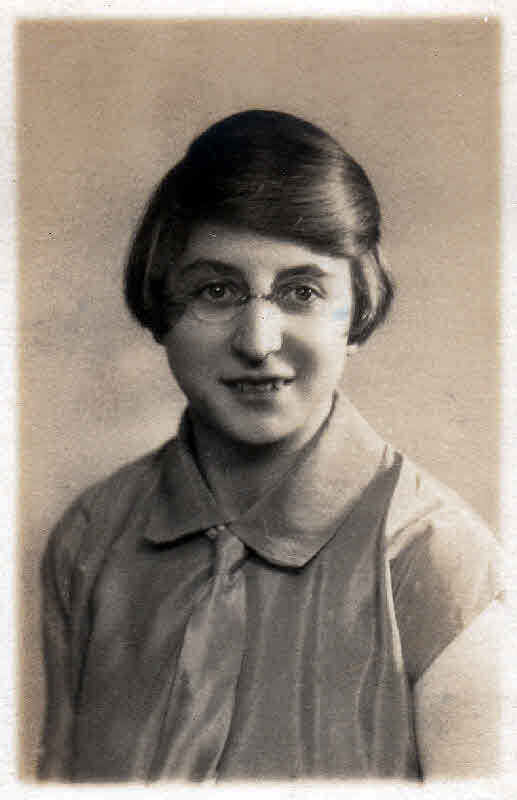 Winifred Annie Jackson, daughter of Thomas Jackson and Alice Maud Bull, was married to Cyril Frederick Moore, son of Frederick William Moore and Mary Ann Wilkins, in The Queen Street Methodist Chapel, Burton Upon Trent, Staffordshire, on Sunday, 16 April 1933. Winifred Annie Moore nee Jackson was Cremated in The Crematorium, Bretby, Derbyshire, on Monday, 7 June 2004. Probate for Winifred's Estate was granted on 6 August 2004 at Manchester. Anecdote Wynne worked at Worthington's Brewery in Burton, before her Marriage. Lived at 'Waverley' Woodville, until 197x. at 128 Ashby Road, Burton, until 198x. and Flat 7, Alexandra Court, Alexandra Rd. Burton. ---------- Letter to Martin Jackson 12 December 1992. "...this year I am sending all the family, a calendar, which is a copy of an original oil painting of 'Ebenezer Cottage', which Jean Gould has done at my request...I thought that you might all like a remembrance of the place which was the home of your grandparents for many years. ...I don't know if you have ever heard the story of 'Ebenezer'. The name was chosen, because it is Hebrew for 'The Stone of Help'. The cottage was built by my great-grandfather, for his son John, who at that time had no home and no job. When I was a little girl 'Ebenezer' was the village shop and I vividly remember climbing up the steps to buy sweets and my great uncle John was behind the counter, a very forbidding figure, very tall with a long white beard... ...Eventually the property was sold to Earl Ferrers of Staunton Harold, nr. Ashby de la Zouch, when my father retired, he rented the cottage for some years and eventually bought it from Earl Ferrers for £100... ...This is the story told to me by mother. I believe that they sold it for £900 when they came to live with me, the last time it was sold it fetched £38,000... ...We have recently sponsored a tree in memory of Dad & Mother in Heritage Wood which has been planted between Hollington and Ednaston..."
[S100] Certified Copy of a Birth Certificate given at the General Register Office. [S107] General Register Office - Index of Births, Q3 1905 Burton on Trent 6b 433. [S108] General Register Office - Index of Marriages, Q2 1933 Burton on Trent 6b 846. [S1939] U.K. 1939 Register Transcription for England & Wales, Ref: RG101/6033A/010/41 Letter Code: RFAA. Schedule: 110 Sub-Number: 1. [S1939] U.K. 1939 Register Transcription for England & Wales, Ref: RG101/6033A/010/41 Letter Code: RFAA. Schedule: 110 Sub-Number: 2. [S109] General Register Office - Index of Deaths, April 1985 Lichfield 30 - 778 - 485 (Stated Date of Birth - 4 May 1906). [S56] David Moore, "Research by David Moore," e-mail to Martin Jackson, 2000 - 2006. [S109] General Register Office - Index of Deaths, June 2004 Burton on Trent 731/1 - A39D - 103 - 604 (Stated Date of Birth - 22 July 1905). [S310] Crematorium Records. Details researched and extracted from Bretby Crematorium Book of Remembrance by Martin Jackson on 2 November 2017. Details Researched and Extracted by Martin Jackson in March 2016. He was Baptised on Sunday, 22 February 1914 in The Queen Street Methodist Chapel, Burton Upon Trent, Staffordshire . In between 1934 and 1945 Edgar Albert Jackson served "Joined as Artificer Apprentice, was 2 years at the Mechanical Training Establishment, Portsmouth followed by two and a half years at the Mechanical Training Establishment, Chatham, passing out with six months advancement in 1934. From 1934 to 1935 he was in Battleship Valiant, from 1935 to 1936, the Cruiser Cumberland. He joined H.M.S. Fareham in 1939 and served with her in the East and North Africa. 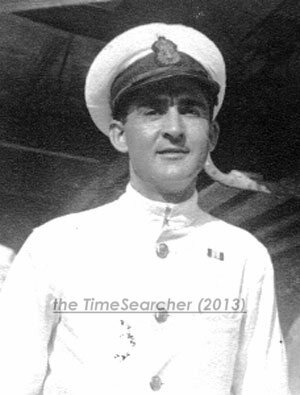 From 1942 to 1943 he served in the Destroyer, Melbreak and then joined the Destroyer, H.M.S. Loyal, which was largely instrumental in cutting the enemies supplies to North Africa and preventing a Tunisian "Dunkirk". This ship took a leading part in the Italy operations and supported the Eighth Army in the Adriatic, during this period C.P.O. Jackson received his "mention". He was awarded the D.S.M. for service in H.M. Minesweeper Fareham and was Mentioned in Despatches while with H.M.S. Loyal." 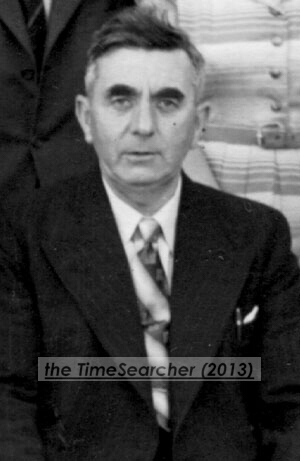 Edgar Albert Jackson, son of Thomas Jackson and Alice Maud Bull, was married to Marjorie Eileen Nicholls, daughter of George Walter Nicholls and Ellen Dora Emmett, in Hampshire in 1935. He was buried on Friday, 2 May 1997. [S107] General Register Office - Index of Births, Q1 1914 Burton Vol: 6b, Page: 797. Mother's Maiden Surname = BULL. [S108] General Register Office - Index of Marriages, Q3 1935 New Forest 2b 2209 Spouse - NICHOLLS. [S109] General Register Office - Index of Deaths, Q2 1997 New Forest 4941 62A 144 0497 DoB = 13 January 1914. 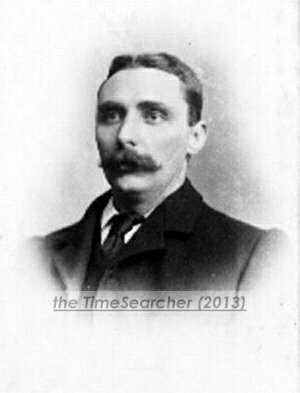 William Jackson, son of Thomas Jackson and Ann Parker, was born in Alvaston, Derbyshire, on Sunday, 29 December 1839. The details from the Birth Certificate are - Entry #307 - on 31st.Dec. 1839. At Alvaston, William Jackson son of Thomas Jackson, Labourer, and Ann Jackson, formerly Parker. Informant, Thomas Jackson, Father, of Alvaston.1 He was Baptised on Friday, 3 January 1840 in Church of St. Michael & All Angels, Alvaston, Derbyshire . In the U.K.Census of 7 April 1861, William was recorded as residing at 1 Redferns Buildings, Horninglow Street, Burton Upon Trent, Staffordshire. William Jackson Lodger Unmarried 21 Brewer's Labourer DBY. Alvaston (in the house of James Parker of Dalbury, and his family). William Jackson, son of Thomas Jackson and Ann Parker, was married to Harriet Bailey, daughter of Barnabas Bailey and Sarah Bradbury, on Monday, 14 September 1868 at the Church of St. James the Less, Fradswell, Staffordshire. William Jackson, son of Thomas Jackson and Ann Parker, was married to Emma Whitehead, daughter of Joseph Whitehead and Sarah Jackson, on Sunday, 13 April 1884 at Christchurch, Burton Upon Trent, Staffordshire. The details from the Death Certificate are - #131 - 5 January 1888 William Jackson, age 48, Brewer's Labourer. of Cancer of the Stomach, at 11 Duke Street, Burton. Informant was his son, George, of 11 Duke Street, Burton, who was present at the death. from his fellow-workers, at the Mission Room Sunday School. With best wishes for his future welfare and happiness. On the occasion of his marriage April 13th 1884. [S1009] Bishop's Transcripts of Parish Records held at County Records Offices, Extracted at Staffordshire Record Office, Lichfield on 9 August 1985. (compiled at Matlock [Derbyshire C.R.O.] on 3 March 1981). [S1841] The 1841 U.K. Census was taken on the night of 5/6 June 1841. PRO Ref: HO 107 / Piece: 189 / 8; Folio: 10; Page 14. [S1851] The 1851 U.K. Census was taken on the night of 29/30 March 1851. PRO Ref: HO 107 / Piece: 2140; Folio: 550; Page: 9; Schedule 39. (Details Researched and Extracted by Martin Jackson on 13 November 2015). [S201] Certified Copy of a Marriage Certificate given at the General Register Office. Copy held by Martin Jackson. [S1871] The 1871 U.K. Census was taken on the night of 1/2 April 1871. PRO Ref: RG10 Piece: 2905; Folio: 20; Page 33; Schedule 154. [S109] General Register Office - Index of Deaths, Q1 1884 Burton 6b 243, aged 42 years. [S308] Certified Copy of a Death Certificate given at the General Register Office, Copy of Certificate held by Martin Jackson. She was Baptised on Sunday, 28 August 1842 in All Saints Church, Leigh, Staffordshire . Harriet Bailey was a witness at the marriage of Samuel Annable and Sarah Bailey on 27 September 1859 in St. Modwen's Church, Burton on Trent, Staffordshire; Entry #284 - Samuel Annable, aged 24 years, a Bachelor, a Labourer of Burton, son of Benjamin Annable, an Innkeeper and Sarah Bailey, aged 28 years, a Spinster of Burton, daughter of Barnabas Bailey, a Farmer, were married After Banns. In the U.K.Census of 6 April 1861, Harriet was recorded as residing at the Bramshall Rectory, Bramshall Proper, Staffordshire. Harriet Bailey, daughter of Barnabas Bailey and Sarah Bradbury, was married to William Jackson, son of Thomas Jackson and Ann Parker, on Monday, 14 September 1868 at the Church of St. James the Less, Fradswell, Staffordshire. She was buried, Burton Upon Trent in March 1884. (Details Researched and Extracted by Martin Jackson on 5 September 2018). [S1861] The 1861 U.K. Census was taken on the night of 6/7 April 1861. PRO Ref: RG9 Piece: 1955; Folio: 79; Page: 9; Schedule: 38. George Jackson, son of William Jackson and Harriet Bailey, was born in Burton Upon Trent, Staffordshire, on Sunday, 24 April 1870, his Birth was Registered at the Burton Register Office in the Apr-May-Jun Quarter of 1870.1 He was Baptised on Sunday, 3 July 1870 in Christ Church, Burton on Trent, Staffordshire . Christ Church Baptismal Register Entry - "Entry #247 - George Jackson, son of Harriet and William Jackson, a Labourer of Burton on Trent, was Baptised. Administration Register Entry -; Sarah Ellen Jackson of 91 Regent Road, Leicester, Spinster, died 4 September 1939. Administration granted at Leicester on 26 October to George Jackson, Plumber. [S107] General Register Office - Index of Births, Q2 1870 Burton 6b 391 Mother's Maiden Surname = BAILEY. (Details Researched and Extracted by Martin Jackson on 21 September 2016). [S108] General Register Office - Index of Marriages, Q4 1893 Burton 6b 555. [S1901] The 1901 U.K. Census was taken on the night of 30/31 March 1901. PRO Ref: RG13 Piece: 3217; Folio: 149; Page 25; Schedule 131. [S1911] The 1911 U.K. Census was taken on the night of 2 April 1911. PRO Ref: RG14 PN16792 RG78 PN1042 RD365 SD4 ED5 SN115. [S1939] U.K. 1939 Register Transcription for England & Wales, Ref: RG101/5483A/011/11 Letter Code: OTVH. Schedule: 99 Sub-Number: 1. [S1939] U.K. 1939 Register Transcription for England & Wales, Ref: RG101/5483A/011/11 Letter Code: OTVH. Schedule: 99 Sub-Number: 2. Details extracted on 5 November 2014 by Martin Jackson. [S109] General Register Office - Index of Deaths, Q1 1950 Lichfield 9b 275, aged 79 years. [S120] Martin Jackson has included these details by using information from other resources:- DoD derived from M.I. [S316] Monumental Inscription, Recorded by David and Diana Moore on a visit to Rangemore, on 30 Aug. 2002. In the U.K.Census of 5 April 1891, Annie was recorded as residing at 15 Moor Street, Burton on Trent, Staffordshire. 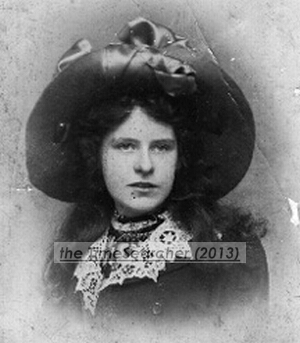 She was buried in Hempstead Villa, 295 Baker Street, Alvaston, Derbyshire, on Sunday, 16 March 1913. [S107] General Register Office - Index of Births, Q4 1877 Burton on Trent 6b 408. [S1891] The 1891 U.K. Census was taken on the night of 4/5 April 1891. PRO Ref: RG12 Piece: 2202; Folio: 58; Page: 3; Schedule: 15. [S201] Certified Copy of a Marriage Certificate given at the General Register Office. Ref: TG 689018. [S108] General Register Office - Index of Marriages, Q3 1900 Derby Vol: 7b Page: 972. [S1901] The 1901 U.K. Census was taken on the night of 30/31 March 1901. PRO Ref: RG13 Piece: 3221; Folio: 121; Page 28; Schedule 142. [S321] Abstraction of Will, Extracted by Heather Eaton at Matlock on 12 April 2002. [S1911] The 1911 U.K. Census was taken on the night of 2 April 1911. PRO Ref: RG14PN20864 RG78 PN1246 RD435 SD1 ED4 SN204. [S671] "Personal Research of Richard Smart", from August 2013, Date and Place of Death extracted from a Public Family Tree on Ancestry.co.uk uploaded by Richard Smart. [S109] General Register Office - Index of Deaths, Q1 1913 Derby 7b 760 aged 36 years. [S201] Certified Copy of a Marriage Certificate given at the General Register Office. Mar. qtr. 1901. ref: 7b 580. In the U.K.Census of 2 April 1871, Emma was recorded as residing at The Village, Marchington, Staffordshire. Emma Whitehead, daughter of Joseph Whitehead and Sarah Jackson, was married to William Jackson, son of Thomas Jackson and Ann Parker, on Sunday, 13 April 1884 at Christchurch, Burton Upon Trent, Staffordshire. [S107] General Register Office - Index of Births, Q1 1852 Uttoxeter 6b 237 Mother's Maiden Surname = JACKSON. [S1861] The 1861 U.K. Census was taken on the night of 6/7 April 1861. PRO Ref: RG9 Piece: 1957; Folio: 105; Page 20; Schedule 97. [S1871] The 1871 U.K. Census was taken on the night of 1/2 April 1871. PRO Ref: RG10 Piece: 2895; Folio: 96; Page 14 Schedule: 71. [S1881] The 1881 U.K. Census was taken on the night of 3/4 April 1881. PRO Ref: RG11 FHL Film 1341662 PRO Ref RG11 Piece: 2764; Folio: 27; Page: 8. [S1901] The 1901 U.K. Census was taken on the night of 30/31 March 1901. PRO Ref: RG13 Piece: 2642; Folio: 126; Page: 3 ; Schedule 23. [S109] General Register Office - Index of Deaths, Q3 1910 Burton on Trent 6b 200 aged 58 years. In the U.K.Census of 2 April 1911, Sarah was recorded as residing at Halford Terrace, Packington Road, Ashby de la Zouch, Leicestershire. Administration of the Estate of Sarah Ellen Jackson was granted at Leicester. Register Entry - Sarah Ellen Jackson of 91 Regent Road, Leicester, Spinster, died 4 September 1939. Administration granted at Leicester on 26 October to George Jackson, Plumber. Miss SARAH ELLEN JACKSON, Deceased. [S107] General Register Office - Index of Births, Q1 1885 Burton 6b 424 Mother's Maiden Surname = WHITEHEAD. [S1911] The 1911 U.K. Census was taken on the night of 2 April 1911. PRO Ref: RG14PN19079 RG78 PN1142 RD404 SD3 ED8 SN70. [S109] General Register Office - Index of Deaths, Q3 1939 Leicester Vol: 7a, Page: 365. aged 54 years. [S2018] Newspaper "Page 7838; 21 November 1939." Barnabas Bailey, son of Samuel Bailey and Ann Boon, was born about 1804, calculated from stated age on Censuses. He was Baptised on Sunday, 8 April 1804 in the Church of St. James the Less, Fradswell, Staffordshire . Barnabas Bailey, son of Samuel Bailey and Ann Boon, was married to Sarah Bradbury on Monday, 11 October 1824 at All Saints Church, Leigh, Staffordshire. He was buried in St. Peter's Parish Church, Hednesford on Monday, 19 May 1884. [S1861] The 1861 U.K. Census was taken on the night of 6/7 April 1861. PRO Ref: RG9 Piece: 1909; Folio: 129; Page: 4; Schedule: 21. [S1881] The 1881 U.K. Census was taken on the night of 3/4 April 1881. PRO Ref: RG11 FHL Film 1341667 PRO Ref RG11 Piece: 2785; Folio: 34; Page 26; Schedule: 132. [S109] General Register Office - Index of Deaths, Q2 1884 Cannock 6b 295 age 80 years. (Details Researched and Extracted by Martin Jackson on 18 November 2015). Sarah Bradbury was born about 1803. She was Baptised on Sunday, 3 April 1803 in Church of St. Mary the Virgin, Colton, Staffordshire . Sarah Bradbury was married to Barnabas Bailey, son of Samuel Bailey and Ann Boon, on Monday, 11 October 1824 at All Saints Church, Leigh, Staffordshire. She was buried in St. Peter's Parish Church, Hednesford on Monday, 18 January 1886. (Extracted from Parish Records stored at Staffordshire Record Office.). [S109] General Register Office - Index of Deaths, Q1 1886 Cannock 6b 333 age 83 years. [S117] , Details Researched and Extracted by Martin Jackson on 5 September 2018. He was Baptised on Thursday, 12 February 1818 in Wesleyan Meth. Church, Ilkeston, Derbyshire . Thomas Jackson, son of John Jackson and Mary Keeling, was married to Ann Parker, daughter of Anthony Parker and Ann Hollis, on Sunday, 11 March 1838 at Church of St. Michael & All Angels, Alvaston, Derbyshire. He was buried in Church of St. Michael & All Angels, Alvaston, Derbyshire, on Sunday, 2 July 1882. Cemetery Register Entry - Entry #614 - Thomas Jackson of Alvaston aged 65 years, was Buried. [S120] Martin Jackson has included these details by using information from other resources:- England & Wales Non-conformist births and baptisms. Details, image and transcription extracted by Martin Jackson on 7 September 2018. (England & Wales Non-Conformist Births and Baptisms. Details, image and transcription extracted by Martin Jackson on 7 September 2018). [S1861] The 1861 U.K. Census was taken on the night of 6/7 April 1861. PRO Ref: RG9 Piece: 2490; Folio: 91; Page 12; Schedule 58. [S1871] The 1871 U.K. Census was taken on the night of 1/2 April 1871. PRO Ref: RG10 Piece: 3553; Folio: 93; Page: 6 ; Schedule 32. [S1881] The 1881 U.K. Census was taken on the night of 3/4 April 1881. PRO Ref: RG11 FHL Film 1341810 PRO Ref RG11 Piece: 3388; Folio: 41; Page 13. [S109] General Register Office - Index of Deaths, Q2 1882 Shardlow 7b 285. Ann Parker, daughter of Anthony Parker and Ann Hollis, was born in Dalbury Lees, Derbyshire, in 1811. She was Baptised on Wednesday, 25 December 1811 in All Saints Church, Dalbury Lees, Derbyshire . Ann Parker, daughter of Anthony Parker and Ann Hollis, was married to Thomas Jackson, son of John Jackson and Mary Keeling, on Sunday, 11 March 1838 at Church of St. Michael & All Angels, Alvaston, Derbyshire. She was buried in Church of St. Michael & All Angels, Alvaston, Derbyshire, on Wednesday, 11 February 1891. Cemetery Register Entry - Entry #5 - Ann Jackson of Alvaston aged 79 years, was Buried. [S360] Ancestry.com. Derbyshire, England, Church of England Baptisms, Marriages and Burials, 1538-1812 (Database on-line). Lehi, UT, USA: Ancestry.com Operations, Inc., 2017. Original data: Derbyshire Church of England Parish Registers, Derbyshire Record Office, Matlock, Derbyshire, England. [S308] Certified Copy of a Death Certificate given at the General Register Office, Copy held by Martin Jackson. John Jackson, son of Thomas Jackson and Ann Parker, was born in Alvaston, Derbyshire, in 1838, his Birth was Registered at the Shardlow Register Office in the Apr-May-Jun Quarter of 1838.1 He was Baptised on Sunday, 3 June 1838 in Church of St. Michael & All Angels, Alvaston, Derbyshire . Cemetery Register Entry - Entry #255 - John Jackson of Alvaston aged 63 years, was Buried. [S107] General Register Office - Index of Births, Q2 1838 Shardlow 19-542. [S1891] The 1891 U.K. Census was taken on the night of 4/5 April 1891. PRO Ref: RG12 Piece: 2722; Folio: 40; Page: 14; Schedule: 82. [S109] General Register Office - Index of Deaths, Q2 1900 Shardlow 7b 275 age 63. [S1] "Personal Research of Martin F.Jackson", between 1980 and 2019. ( Grave was photographed in May 1984 by Martin Jackson ). Elizabeth Jackson, daughter of Thomas Jackson and Ann Parker, was born in Alvaston, Derby, Derbyshire, in 1842, her Birth was Registered at the Shardlow Register Office in the Apr-May-Jun Quarter of 1842.1 She was Baptised on Wednesday, 6 April 1842 in Church of St. Michael & All Angels, Alvaston, Derbyshire . In the U.K.Census of 6 April 1861, Elizabeth was recorded as residing at The Farm House, Church Hill, Sandiacre, Derbyshire. Elizabeth Jackson, daughter of Thomas Jackson and Ann Parker, was married to John Darby in Derbyshire in 1870. [S107] General Register Office - Index of Births, Q2 1842 Shardlow 19 - 558. [S1861] The 1861 U.K. Census was taken on the night of 6/7 April 1861. PRO Ref: RG9 Piece: 2492; Folio: 3; Page: 5 ; Schedule 16. [S108] General Register Office - Index of Marriages, Q3 1870 Shardlow Vol: 7b, Page: 511. [S1871] The 1871 U.K. Census was taken on the night of 1/2 April 1871. PRO Ref: RG10 Piece: 3981, Folio: 19, Page: 31, Schedule: 158. [S1881] The 1881 U.K. Census was taken on the night of 3/4 April 1881. PRO Ref: RG11 Piece: 3902, Folio: 130, Page: 46, Schedule: ?. [S1891] The 1891 U.K. Census was taken on the night of 4/5 April 1891. PRO Ref: RG12 Piece: 3177, Folio: 3, Page: 4, Schedule: 20. [S1901] The 1901 U.K. Census was taken on the night of 30/31 March 1901. PRO Ref: RG13 Piece: 3688, Folio: 155, Page: 5, Schedule: 35. [S109] General Register Office - Index of Deaths, Q4 1906 Chorlton Vol: 8c, Page: 546. Aged 65 years. Joseph Jackson, son of Thomas Jackson and Ann Parker, was born in Alvaston, Derbyshire, in 1844, his Birth was Registered at the Shardlow Register Office in the Oct-Nov-Dec Quarter of 1844.1 He was Baptised on Sunday, 10 November 1844 in Church of St. Michael & All Angels, Alvaston, Derbyshire . In the U.K.Census of 7 April 1861, Joseph was recorded as residing at Markeaton Lawn, Markeaton, Derbyshire. Joseph Jackson, son of Thomas Jackson and Ann Parker, was married to Ellen Elson in Derbyshire in 1866. [S107] General Register Office - Index of Births, Q4 1844 Shardlow 19 - 515. [S1861] The 1861 U.K. Census was taken on the night of 6/7 April 1861. PRO Ref: RG9 Piece: 2506; Folio: 42; Page 20; Schedule 28. [S108] General Register Office - Index of Marriages, Q2 1866 Shardlow 7b 615. [S1871] The 1871 U.K. Census was taken on the night of 1/2 April 1871. PRO Ref: RG10 Piece: 3558; Folio: 68; Page 29; Schedule 147. [S1881] The 1881 U.K. Census was taken on the night of 3/4 April 1881. PRO Ref: RG11 FHL Film 1341811 PRO Ref RG11 Piece: 3393; Folio: 16; Page 26. [S1891] The 1891 U.K. Census was taken on the night of 4/5 April 1891. PRO Ref: RG12 Piece: 2726; Folio: 106; Page 31; Schedule 210. [S1901] The 1901 U.K. Census was taken on the night of 30/31 March 1901. PRO Ref: RG13 Piece: 3212; Folio: 126; Page 37; Schedule 261. [S1911] The 1911 U.K. Census was taken on the night of 2 April 1911. PRO Ref: RG14PN20857 RG78 PN1245 RD434 SD5 ED7 SN349. [S109] General Register Office - Index of Deaths, Q2 1924 Shardlow 7b 534 aged 80 years. George Jackson, son of Thomas Jackson and Ann Parker, was born in Alvaston, Derbyshire, in 1847, his Birth was Registered at the Shardlow Register Office in the Jan-Feb-Mar Quarter of 1847.1 He was Baptised on Sunday, 11 April 1847 in Church of St. Michael & All Angels, Alvaston, Derbyshire . In the U.K.Census of 2 April 1871, George was recorded as residing at 321 Gorton Lane, Gorton, Manchester, Lancashire. George Jackson, son of Thomas Jackson and Ann Parker, was married to Jane Katherine Clutterbuck, daughter of Thomas Clutterbuck and Ann, in Gloucester, Gloucestershire, in 1875. He was buried in Church of St. Michael & All Angels, Alvaston, Derbyshire, on Sunday, 16 November 1884. [S107] General Register Office - Index of Births, Q1 1847 Shardlow 19 - 590. [S1871] The 1871 U.K. Census was taken on the night of 1/2 April 1871. PRO Ref: RG10 Piece: 3982; Folio: 11; Page 16; Schedule 84. [S108] General Register Office - Index of Marriages, Q1 1875 Gloucester 6a 410. [S1881] The 1881 U.K. Census was taken on the night of 3/4 April 1881. PRO Ref: RG11 FHL Film 1341928 PRO Ref RG11 Piece: 3886; Folio: 14; Page 22. [S109] General Register Office - Index of Deaths, Q4 1884 Shardlow 7b301 age 37. Charles Jackson, son of Thomas Jackson and Ann Parker, was born in Alvaston, Derbyshire, in 1850, his Birth was Registered at the Shardlow Register Office in the Jan-Feb-Mar Quarter of 1850.1 He was Baptised on Sunday, 13 January 1850 in Church of St. Michael & All Angels, Alvaston, Derbyshire . Charles Jackson, son of Thomas Jackson and Ann Parker, was married to Rachael Hancock, daughter of John Hancock and Christiana Jane Butler, in Nottinghamshire in 1878. Charles Jackson wrote his Will on 15 March 1909 in 293 Baker Street, Alvaston, Derbyshire; This is the last will and testament of the undersigned Charles Jackson of No 293 Baker St Alvaston Derby given under my hand this 15th day of March 1909. 1 I hereby give and bequeath to my wife Rachel Jackson my dwellinghouse with all furniture and effects thereto belonging together with all monies due to me from whatever source for her use and at her death all real and personal effects must be sold and the proceeds divided equally among my children namely Ethel Jackson, Ada Jackson, Sarah Florence Jackson, Percy Jackson, Harold Jackson and Lawrence George Jackson excepting that my said son Percy receives £25 less and my said son Harold £10 less than the remainder they being already indebted to me for the said amounts. 2 Should any of my children marry and die leaving issue their share must go to their children but in case of no issue such share must be divided among the remainder of my children. 3 In case my wife remarried all I leave to her must at once be sold and divided among my said children in the manner before named. 4 I appoint Mr William Albert Dawson of Fair View Baker St Alvaston Derby as my executor. He was buried in Church of St. Michael & All Angels, Alvaston, Derbyshire, on Saturday, 27 March 1909. Cemetery Register Entry - Entry #442 - Charles Jackson, of 293 Baker Street, Alvaston, aged 59 years, was Buried. Monumental Inscription: In / Loving memory / of / my beloved husband / Charles Jackson / At rest March 22 1909 / aged 59 years. Probate for his Estate was granted in Derby, Derbyshire. Charles Jackson of 293 Baker Street, Alvaston, Derbyshire, Iron Turner, died 22 March 1909. Probate was granted at Derby on 10 May 1909 to William Albert Dawson, Cashier. [S107] General Register Office - Index of Births, Q1 1850 Shardlow 19 - 581. [S108] General Register Office - Index of Marriages, Q2 1878 Radford 7b 263. [S1881] The 1881 U.K. Census was taken on the night of 3/4 April 1881. PRO Ref: RG11 Piece: 3388; Folio: 41; Page 14; Schedule 76. [S1891] The 1891 U.K. Census was taken on the night of 4/5 April 1891. PRO Ref: RG12 Piece: 2722; Folio: 8; Page 10; Schedule 57. [S1901] The 1901 U.K. Census was taken on the night of 30/31 March 1901. PRO Ref: RG13 Piece: 3207; Folio: 55 & 56; Page 42 & 43; Schedule 271. [S251] Extracted from the Electoral Roll. [S109] General Register Office - Index of Deaths, Q1 1901 Derby 7b 382 aged 59 years. 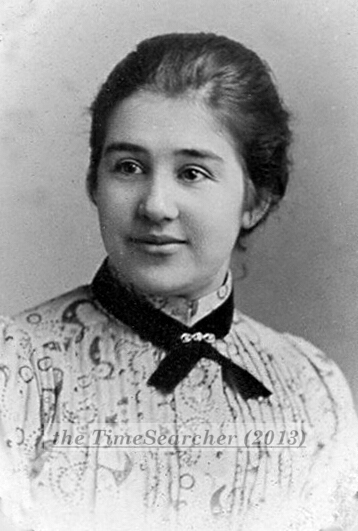 Mary Ann Jackson, daughter of Thomas Jackson and Ann Parker, was born in Alvaston, Derbyshire, in 1853. She was Baptised on Sunday, 20 March 1853 in Church of St. Michael & All Angels, Alvaston, Derbyshire . She was buried in Church of St. Michael & All Angels, Alvaston, Derbyshire, on Thursday, 26 June 1913. Probate for Mary's Estate was granted at Derby. [S1901] The 1901 U.K. Census was taken on the night of 30/31 March 1901. PRO Ref: RG13 Piece: 3207; Folio: 56; Page 43; Schedule 272. [S109] General Register Office - Index of Deaths, Q2 1913 Shardlow 7b 567 aged 60 years. [S120] Martin Jackson has included these details by using information from other resources:- Date and Place of Death derived from Probate information. Anthony Parker, son of John Parker and Elizabeth Cope, was born in Dalbury Lees, Derbyshire, in 1778. He was Baptised on Sunday, 20 December 1778 in All Saints Church, Dalbury Lees, Derbyshire . Anthony Parker, son of John Parker and Elizabeth Cope, was married to Ann Hollis, daughter of William Hollis, on Wednesday, 21 December 1808 at St. Helen's Church, Etwall, Derbyshire. St. Helen's Church Marriage Register Entry - "Anthony Parker of this Parish, Yeoman and Ann Hollis of the same Parish were Married in this Church by Banns this 21st day of December 1808. Both Signed the Register with their Mark X. He was buried, Dalbury on Saturday, 7 July 1827. [S364] Ancestry.com. Derbyshire, England, Church of England Marriages and Banns, 1754-1932 (Database on-line). Lehi, UT, USA: Ancestry.com Operations, Inc., 2017. Original data: Derbyshire Church of England Parish Registers, Derbyshire Record Office, Matlock, Derbyshire, England. [S120] Martin Jackson has included these details by using information from other resources:- Derived from Burial Entry details.